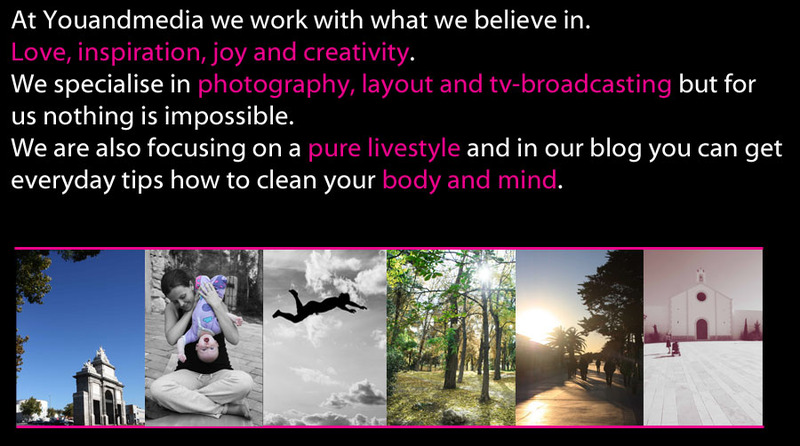 At Youandmedia we work with what we believe in. Love, inspiration, joy and creativity. We specialise in photography, layout and tv-broadcasting but for us nothing is impossible. We are also focusing on a pure lifestyle and in our blog you can get everyday tips how to clean your body and mind. For the moment this blog as you can see is on hold but feel free to browse around!